Seems that there’s a renaissance of quality crime sagas set in blue-collar Boston neighborhoods afoot, most notably, this year’s Academy Award-winning Best Picture, The Departed, and Mystic River, for which Sean Penn and Tim Robbins each earned Oscars. 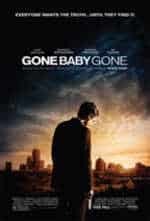 Gone Baby Gone is the second such adventure based on a best-seller by Dennis Lehane. The movie marks the promising directorial debut of Beantown native Ben Affleck who cast his baby-faced brother Casey in the lead role of Patrick Kenzie and doe-eyed Michelle Monaghan as the private eye’s sidekick/girlfriend, Angie Gennaro. While the whodunit still revolves around this pair’s collaborating on a case, loyal Lehane fans deserve to be apprised of the fact that the film is only loosely based on the original source material. For instance, where the novel’s primary suspect is a Scandinavian named Cheese who weighs 430 pounds, in the flick Cheese has been transformed into a nearly emaciated Haitian (Edi Gathegi). However, the considerable liberties taken with the plot are less a problem than Ms. Monaghan’s inability to exhibit any emotional range. Scene after scene, the stone-faced actress offers no clue as to what’s on her character’s mind, as she is ostensibly content to serve simply as window-dressing. Thus, her ubiquitously flat reaction to the flick’s every shocking revelation and grisly discovery proves to be an infuriating distraction for the duration of an otherwise intriguing, multi-layered mystery. At the point of departure, we learn that four year-old Amanda McCready (Madeline O’Brien) is missing from the rundown row house she shares on a seedy side of Dorchester with her drug-addicted single-mom, Helene (Amy Ryan). Aware that time is of the essence in any child kidnapping, it falls to the little girl’s Aunt Beatrice (Amy Madigan) and Uncle Lionel (Titus Welliver) to intervene swiftly on her behalf. They retain the services of local detectives Kenzie and Gennaro, anticipating that potential witnesses will be more willing to speak to members of their tight-knit community than to cooperate with the city cops. This unorthodox approach does not sit well with Amanda’s mother, but the narcissistic crackhead is too worried about where her next high is coming from to protest. So, Police Chief Doyle (Morgan Freeman) reluctantly agrees to let them work in tandem with his officers already assigned to handle the search, Remy Bressant (Ed Harris) and Nick Poole (John Ashton). Following a misleading tip, Kenzie and Gennaro first confront drug dealer Cheese, and gradually discover that they cannot always trust their sources. Undeterred and determined the two press on, though the deeper they dig, the more perilous a path they have to tread. 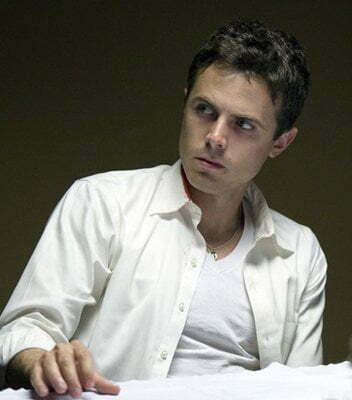 Laced with an abundance of logical red herrings, Gone Baby Gone is a marvelous, meticulously-twisted thriller guaranteed to keep you guessing and on the edge of your seat right up to its shocking conclusion. Monaghan’s disastrous effort aside, the movie features stellar work from reliables Morgan Freeman and Ed Harris, along with what ought to be considered career performances coaxed by director Affleck out of his sibling Casey, as well as from Amy Ryan and Titus Welliver. After a string of groan-inducing outings from Daredevil to Gigli to Jersey Girl, it looks like Ben Affleck has stepped to the other side of the camera and finally found his true calling. Rated R for pervasive profanity, ethnic and sexual preference slurs, drug use and violence.